Friendly and warm service, comfortable and clean accommodations make this Maine hotel a great value when staying in Waterville. 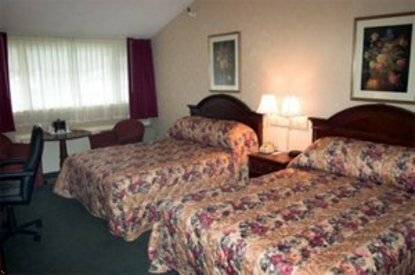 The Fireside Inn & Suites Waterville offers warm Maine hospitality and clean, comfortable accommodations. The convenient access to Interstate 95 in central Maine gives guests quick and easy access to local businesses and area attractions. Travelers will find this Waterville hotel is close to Sappi Fine Paper, Huhtamaki Food Service, Maine General Medical Center, Unity College, Thomas College, and the Maine Criminal Justice Academy. Immaculately kept rooms feature standard amenities including cable television and iron with ironing board. A seasonal outdoor pool and a year-round outdoor hot tub are especially popular with guests. For business travelers, high-quality business rooms are available featuring an oversize working desk, free high-speed Internet access, complimentary newspaper, and breakfast. The hotel welcomes corporate and tour groups and can host special events in the hotel's 2,000 square feet of banquet and meeting space. The Fireside Inn & Suites is just a short drive from the great outdoor recreational activities that Maine offers including snowmobile trails, mountain bike trails, white water rafting, fishing, and skiing. In the fall, central Maine has some of the most brilliant fall colors found anywhere in New England. Visitors can also catch the excitement of the Annual Maine International Film Festival in mid-July.